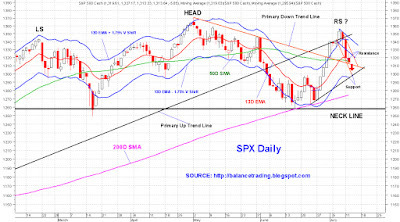 SPX closed below its 50D SMA today. 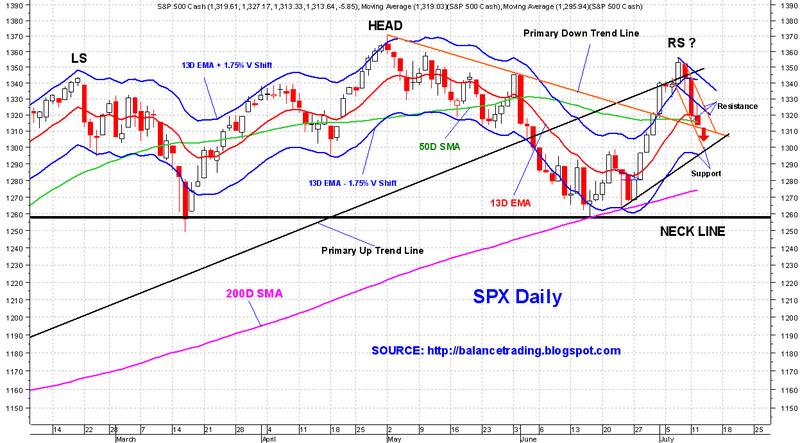 It also back tested the recent primary down trend line (orange) and closed above it. A close below that trend line would be very bearish and I think it very likely happens sometime this week. I'm planning to scale into short positions tomorrow. I will post details later tonight.